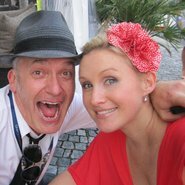 Emma Pask is one of Australia’s favourite jazz singers. Performing throughout Europe and Australia, Pask has sung with the BBC Concert Orchestra at the Queen Elizabeth Hall in London, supported George Benson on his Australian tour and headlined the Ascona Jazz Festival in Switzerland as well as performing in Ascona with Dan Barnett just last year. For this special night, Emma will perform with the Dan Barnett Big Band for a fabulous night of live music at the Gallery. Dan has recently returned from successful tours in Cuba and France and the Dan Barnett Big Band is no stranger to the Gallery selling out each time it performs here. Doors open at 6.30pm. Concert commences at 7pm.